I’m going to put myself out there and just say it…emergency planning in isolation is pointless. 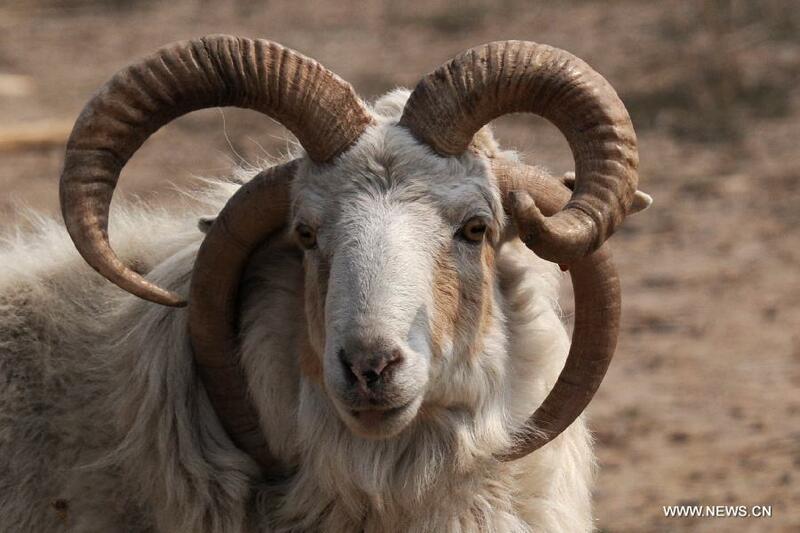 If this goat only had just one horn, it would be more vulnerable. By working with other risk reduction initiatives, emergency management can help reduce vulnerability more than it could working in isolation. I could come up with the most fantastic plans and develop the most immersive training programmes in the world, but doing that all by my lonesome would be a waste of time. One facets of emergency management that I enjoy is the ability to work with a diverse range of practitioners who know everything from GIS to Chemical Hazards and Triage to take-downs. The skill of the Emergency Manager is bringing those different strands together so that if needed there can be a coordinated response. However, what bugs me is when people don’t see the connections. I expect this will be a situation I find myself in tomorrow. I will be proposing that as well as considering the risk of ’emergencies’ such as natural hazards, industrial accidents or malicious attacks that we should consider risk posed by ‘events’ like sports matches and concerts. I already expect to face a hard time with this suggestion. I know it’s not the case across the board in the UK, but in my recent experience emergency planning is quite strongly divorced from events. 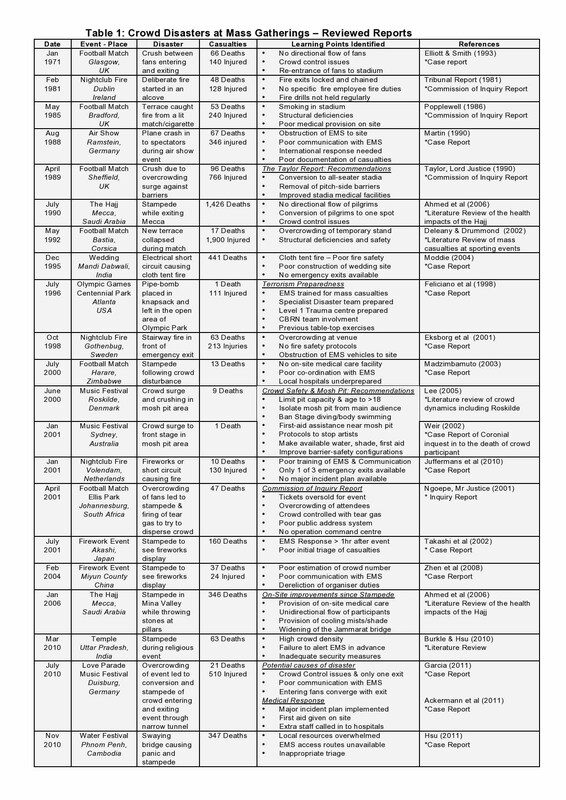 Soomaro and Murray identified 156 incidents at planned events between 1971-2011. Of these, the 21 listed above identified specific lessons for disaster preparedness. Admittedly different degrees of planning are required for a wedding compared to a music festival, but none of these events or similar events since (Boston Marathon etc) could be considered spontaneous. Evidence demonstrates that emergencies can, and sadly do, happen at planned events. Whilst it’s true that there is Health and Safety, Licensing and a whole host of other policy areas working to control risks associated with events, what harm could it cause for events to be considered by the resilience community? Just in the 21 examples above a staggering 3,758 people died and 4,508 were injured at events where, I suggest, they expect to be safe. Surely in inclusion of emergency management professionals in the event planning process could help manage some of the inherent risk in bringing large numbers of people together?